January is a great month for making healthier lifestyle choices and changes, especially when it comes to what you do and don't eat! Whether you have celiac disease, gluten sensitivities, or are just choosing to eat less wheat for health reasons – does that mean you have to choose to compromise on taste? 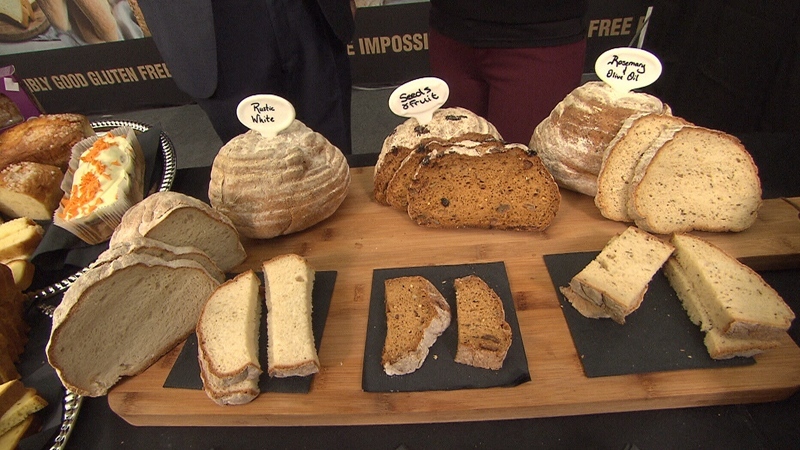 The folks at Promise Gluten Free don't think so... and they came all the way form Ireland to tell us! During CTV Morning Live we learned all about Promise Gluten Free products, which are of course, gluten free. Unlike many other gluten-free lines, they are also high fibre, low fat, low sugar and dairy free. Nutrition is very important to the bakers and decision makers at Promise Gluten Free, but it comes second to taste and texture. And it you've eaten much GF bread, you know why that's so important. Check out the segments on Tuesday to learn about their unique fermenting process, innovative packaging, and other ways they are doing things differently. Visit the Promise Gluten Free website for a the full range of products and for a helpful nutritional comparison chart.